I made this for the miniLD53. It's rather fun for a short period of time. 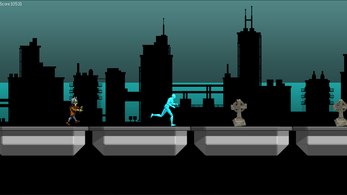 This endless runner will have you escaping from zombies while trying to jump over random gaps. Zombies spawn behind you and run toward you. Jump over them and use them to take out the graves. Sometimes slowing down isn't a bad thing. If you are going to fast slow down!